First of all, look at the size of this moth... I know its really hard to tell how big it is in this picture, but it was HUGE! It was on my kitchen window screen, so I grabbed my sewing measuring tape to measure its body, let me tell you... it was 2 and 1/2 inches long, just the body. 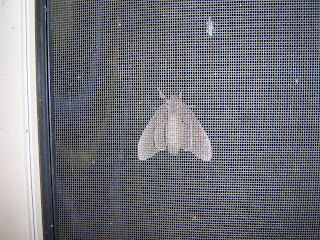 It is very buggy where I live and if you leave your porch light on for a couple of hrs, you have to hop inside like a bunny unless you want a million bugs flying in. 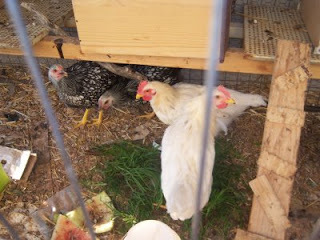 well thank goodness for these gals, since we have had your chicken, i have noticed less buggyness. We are new to this,backyard chicken farming. We really are not even supposed to have chickens in our neighborhood unless you are in 4h. But our neighbors don't mind. So we got 4 baby chicks in march, and oh they were so cute, then we found two in our driveway(our town gives away baby chicks at the town Easter egg hunt, and they have been dyed, bright colors, before they had hatched... i know i know real smart)someone had got them at the egg hunt and obviously was not prepared to have baby chicks(i.e. a cage, heat lamp, food)... anyway they got loose or let go and ended up in our drive way. 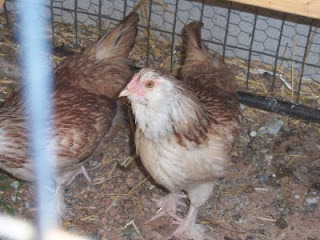 one was bright orange and one bright yellow.. so now we have 6... they are fun, and i cant wait to start getting their eggs.... i just hope that the two we found are not roosters.... does anyone know how to tell a hen from a rooster at this age??? What a moth!! Go and read my most recent encounter with critters in the house! When will you start to get eggs? Do your chickens hve names? ruby's is baby, lily's is katy, mason's is chicky, patrick's is bob, mine is sunshine and bret's is hot wing.